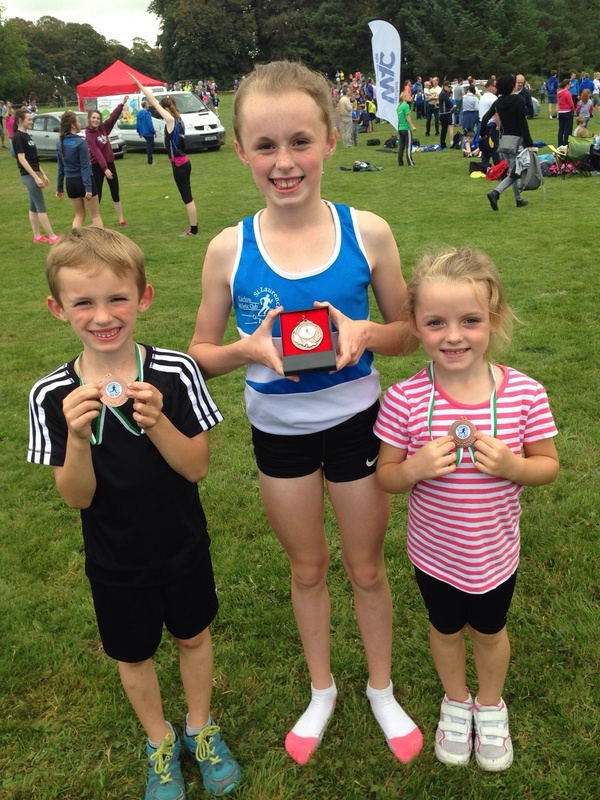 Congratulations to one of our Fifth Class pupils who won a medal at St. Senans Athletic Club in Kilmacow recently. Well done. Rainbows help those affected by loss because of bereavement, separation or divorce. Rainbows is a 12 week programme usually delivered over a 12 week period generally during the school year when children and young people are available to attend. Children like adults do experience grief and loss – it is often misunderstood and not recognised. Grief and loss not supported at a young age can become deep and unresolved in a young mind and heart and can affect future pathways to emotional and positive health and well-being. Rainbows in Tullow is organised and delivered by Tullow School Completion Programme. We got a new sensory table for Aistear time in Ms. Carpenter’s room. The Senior Infants played in the sensory table today. 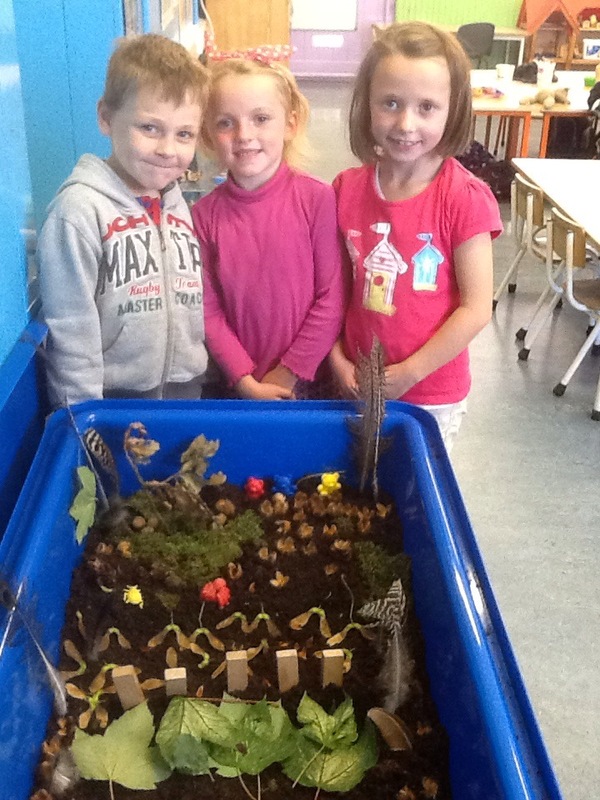 Look what some of them created from Autumn materials. 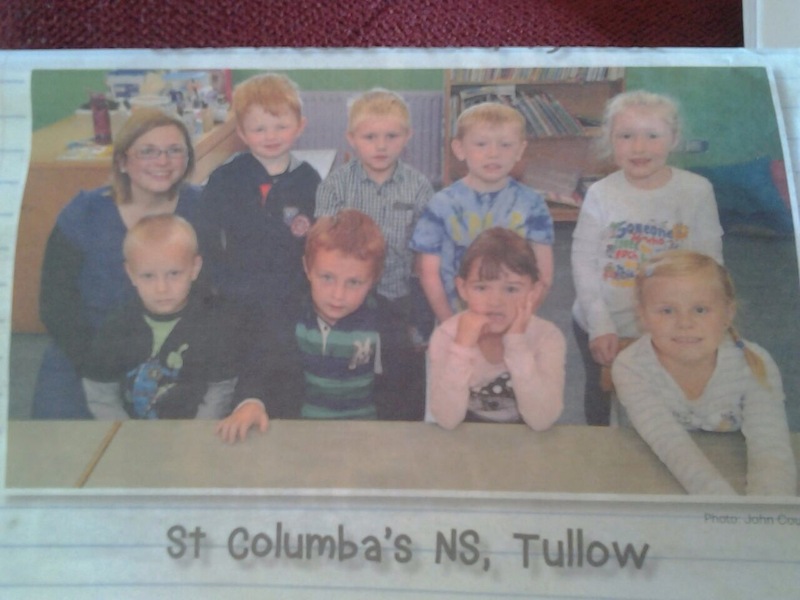 Our Junior Infants featured in the Nationalist in their first few days of school. Since the photo was taken, we have welcomed another new girl into Junior Infants. All pupils and their families are invited to attend the annual Harvest Service in St. Columba’s Church, Tullow on Friday 3rd October at 8pm. As some of our children will perform on the night, please let us know if your child will or will not attend as soon as possible. 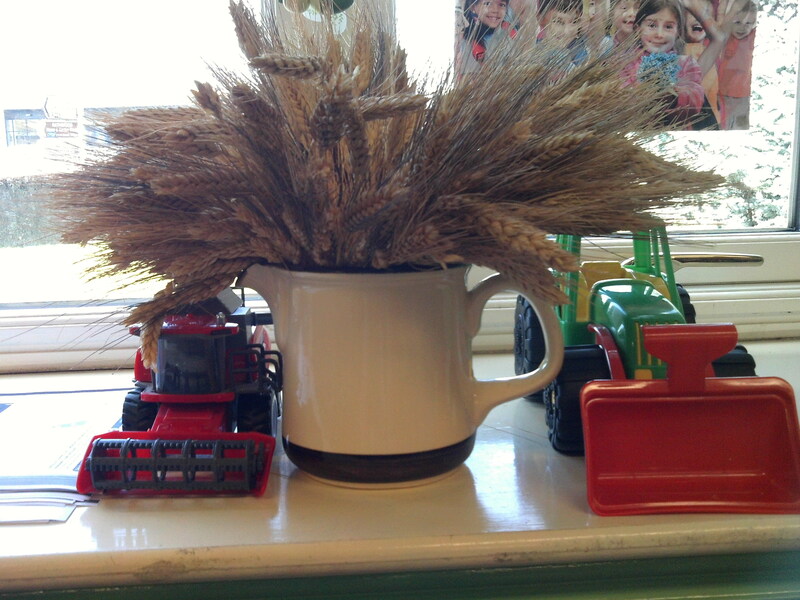 So far we have collected a tractor, combine harvester and sheaf of corn for the evening! We had our first Hot Dog Day of the 2014-15 school year today. Our Hot Dogs got a big thumbs up from our new Junior Infants. Thank you to Sarah Garrigan and Tara Donnelly, who assembled our Hot Dogs. 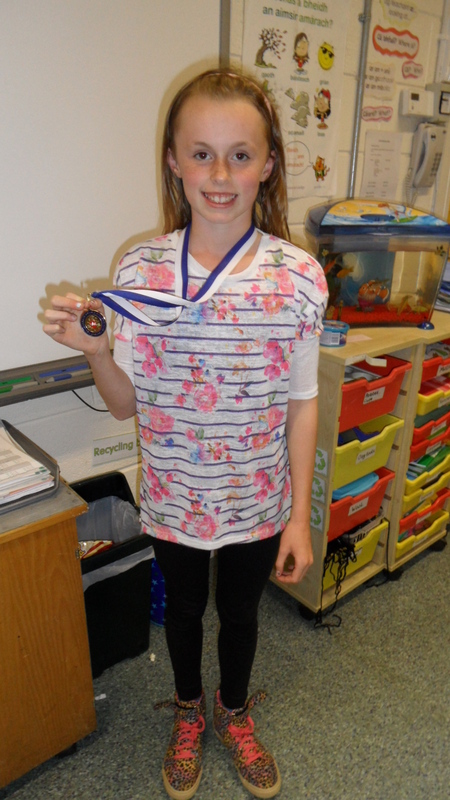 Congratulations to one of our Fifth Class pupils who won a medal in the Primary Schools Cross Country Event recently. 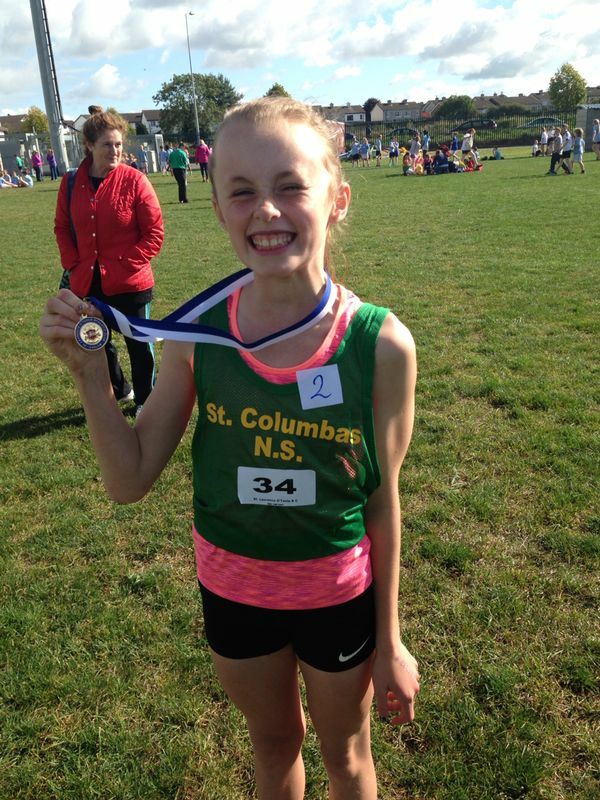 She was placed second in the Fifth Class Girls’ Race. Hundreds of children participated in the races. We are very proud of you! 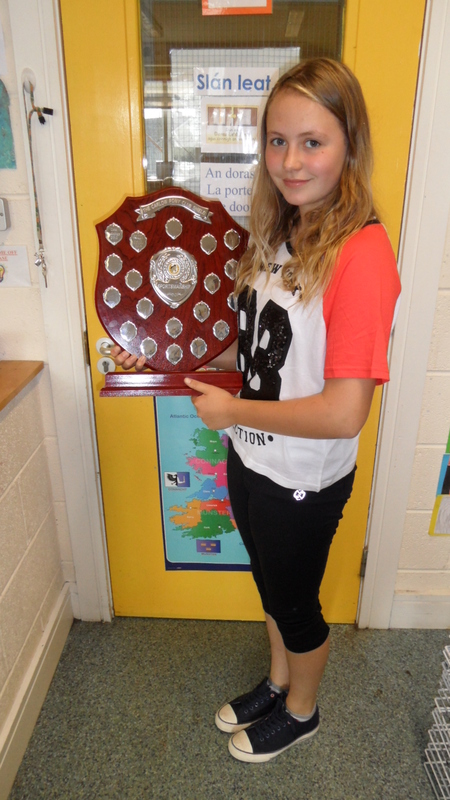 Congratulations to one of our Sixth Class pupils who won the Sportsmanship Shield in the Carlow Hunt Pony Club Camp. Well done. 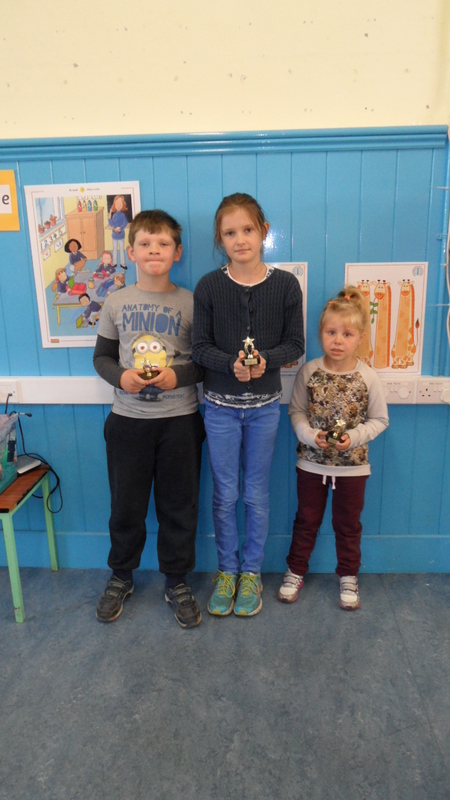 Congratulations to our stars of the week on their fantastic work. Well done.